Scates Realty Blog: What is Virtual Home Staging? Now, though, some agents are turning towards virtual staging. Virtual staging, broadly defined, is the use of computer imaging technology to create realistic listing photos which display a staged home, even though the property itself is not actually staged. 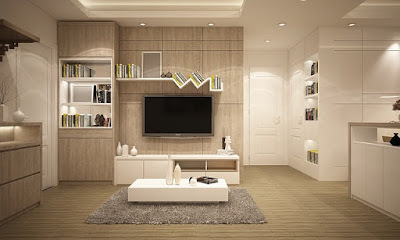 Photos of empty rooms are transformed through 3D modeling and photo editing. The results can be quite impressive. Proponents of virtual home staging say the benefits are obvious. Not only is it less expensive than traditional home staging, but it can also be completed in less time. Stagers, on the other hand, feel the practice is somewhat deceptive. The main argument seems to be that buyers will be disappointed when they arrive at the empty home after seeing staged photos online. Clearly, stagers don't want to see their business undermined by virtual competitors, but do they have a point? Are buyers put off by empty rooms after seeing virtually staged properties online? Is this disparity between staged online and empty in real life a deal breaker? It might depend on your philosophy when it comes to staging. If your primary motivation is generating interest in the home online, you might want to go with virtual staging to create appealing photographs to drive more leads. If you want buyers to viscerally experience a home’s potential when they visit at an open house or walk-through with their agent, you’ll probably want to go for a traditional home staging. Is Your Home Prepared for your Retirement Years?